Cherry Mobile Announced OTA Lollipop Update For Superion Radar LTE And Flare S3 Now Ready! 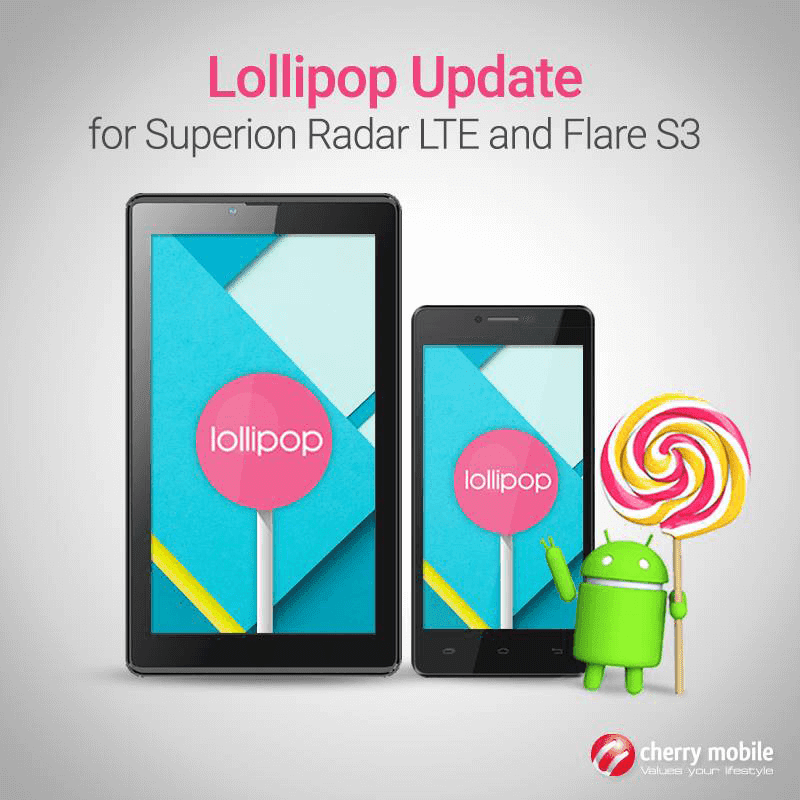 Home / cherry mobile / mobile / news / Cherry Mobile Announced OTA Lollipop Update For Superion Radar LTE And Flare S3 Now Ready! Cherry Mobile did it again. They just fulfilled their promise of updating the Flare S3 to Android Lollipop coming from dated Android Kitkat OS via OTA. However, it's not the only device they prepared an update, the Superion Radar LTE tablet will also get that same Lollipop boost. This is a great thing as the users of those devices can now experience the improvement in terms of overall performance when you're using Android Lollipop. We just have to appreciate this as Cherry is one of the super rare local brand that's committed with updating their devices.